The year 2008 was a great travel year for me. As of today, I've stepped foot on 62 out of 81 provinces of the Philippines. Here are some of the highlights for this year. Since 2008 was also heavy on international travel, I'll come up with another entry on that! 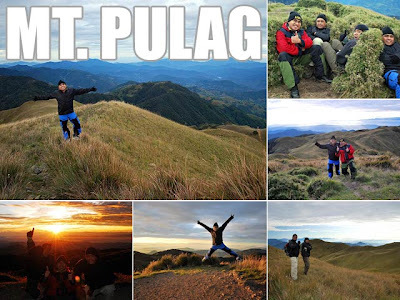 I could not imagine myself 2,922 meters above sea level at the summit of Mount Pulag. But I was there! It took a lot of effort on my part but the view from the top was surreal and most definitely worth it. Is Mt. Apo next? 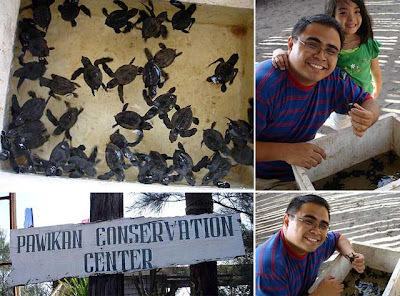 We visited the Pawikan Conservation Center early this year to adopt sea turtles. 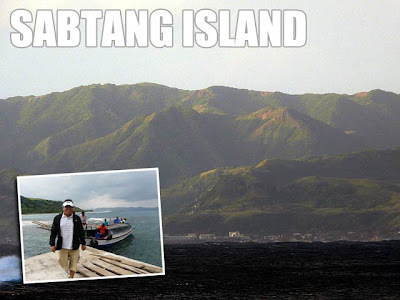 You can include it as part of any Subic itinerary. 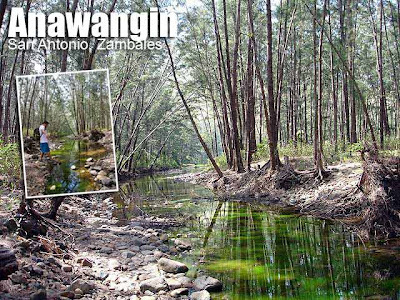 And this is a great help to efforts to protect the pawikan. 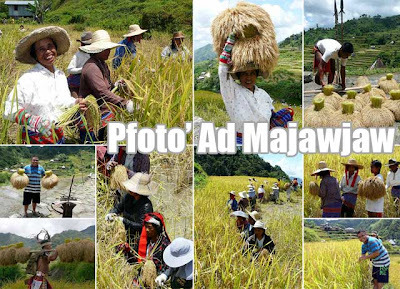 I was very lucky to join a rice harvest tour to Mayoyao, Ifugao this year which took me through the very core of Ifugao. It was a very enriching experience and it opened my eyes to the culture of our Ifugao brothers. I look forward to joing their planting rice tour this January. I made five entries about this great trip! 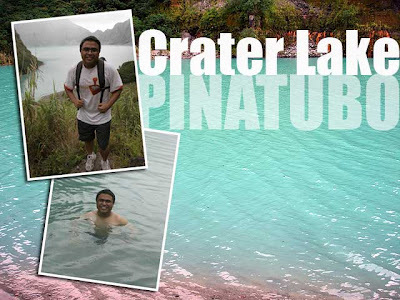 The crater lake of Mount Pinatubo is perfect for a swim especially when it is baby blue! It's easy to organize a visit through the Pinatubo Spa Town and when you get back, a sumptuous lunch and massage awaits. 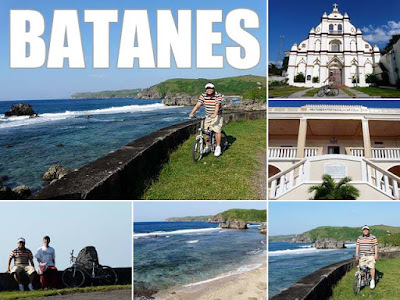 Batanes is pristine and refreshing. It's a must in any traveler's list of places to visit in the Philippines. I'll be blogging about my trip soon. Even if you don't have a license, you can still experience diving with the help of a dive master through an intro dive. 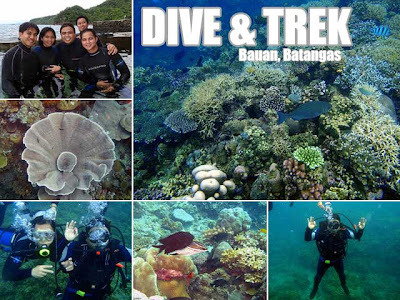 And that's exactly what we did in Bauan, Batangas! Any advocacy to preserve our cultural and natural heritage is close to my heart. 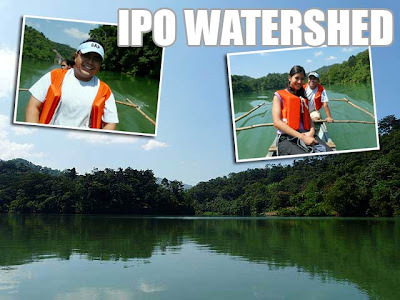 Which is why we made a visit to the Ipo Watershed to support the advocacy of the UP Mountaineers to protect it. Talk about the road less-traveled! Romblon was indeed a surprise. 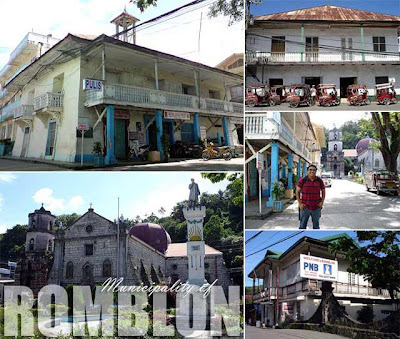 It was fun exploring the old town of Romblon since its heritage is unbelievably intact. I hope to visit again soon. Another unbelievable beach destination so close to Manila, I most definitely enjoyed the surreal landscape of this Zambales beach. So remote it is that you need to hike several hours or take a pump boat to get to it. In one month, I was able to visit the northernmost and southernmost provinces of the Philippines. 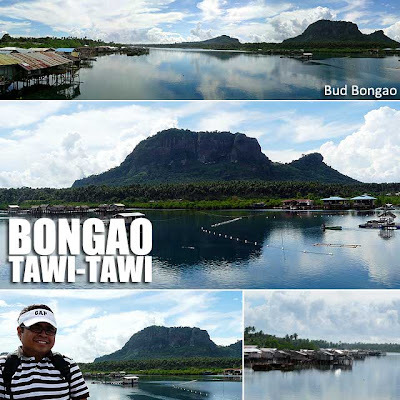 Despite my short stay, the fact that I was able to set foot in Tawi-Tawi is worth mentioning. And I'm definitely making another trip to explore more! Read also Top Philippine destinations for 2009. 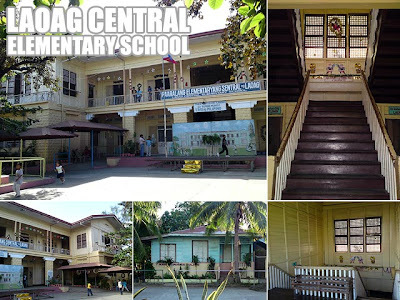 Ilocos Norte: Save the Laoag Central Elementary School! Another heritage school could soon become a victim of misplaced priorities if nothing is done to stop the rampage. The City Government of Laoag and the Diocese of Laoag have both agreed to demolish the Laoag Central Elementary School (LCES), a Gabaldon school building built in the 1924, to give way to a shopping mall! In fact, there are two Gabaldon buildings in LCES, the other being the Home Economics Building. The bishop is so excited about relocating the school to a different location because of the income the mall lease would generate for his diocese. And so is the mayor for reasons only he knows. But the parents and teachers of the LCES, and a majority of the Laoag business community expressed strong opposition to the move in published manifestos printed in The Ilocos Times in November and December respectively. In their manifesto, the parents and teachers of LCES said, "The Laoag Central Elementary School (LCES), for its more than eighty (80) years of existence, has become a historical landmark of the City of Laoag as a "Bastion of Education." They said further, "Education should never be sacrificed for commercialization, no matter the perceived increase in income that the Roman Catholic Church and the City of Laoag will realize from the conversion." 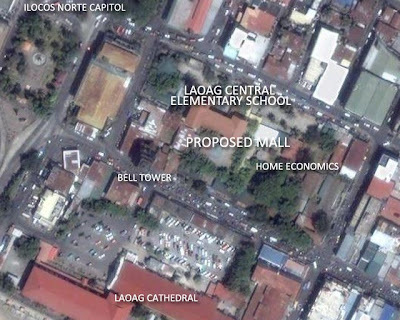 The business community, in its manifesto, gave fifteen points, among them the negative economic effects on small business establishments and stalls in the Laoag City public market, the displacement of pupils considering they live within striking distance of the school, the worsening of traffic in the central business district, and the destruction of the historical fabric of Laoag since the mall will obscure vital historical, cultural and religious landmarks, particularly the bell tower which is right beside the property. They also said that if the mall was constructed in the outskirts of Laoag, it will be a catalyst for development there and will lead to an expansion of business opportunities. It's time to put a stop to this foolishness and greed! No to the demolition of a heritage school house! No to a shopping mall in Laoag's already-congested historic core! 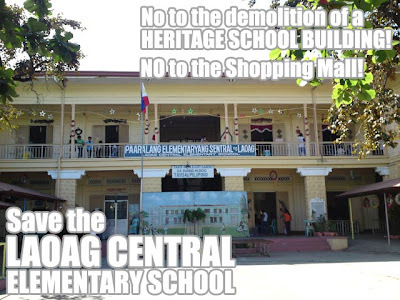 Save the Laoag Central Elementary School! In the second article, the statements of Raul D. Umengan just show us how shallow and uninformed a good number of our government officials are. True heritage advocates know that our country's heritage extends beyond the list of the National Historical Institute (NHI). He should read the definition of heritage before he makes these flimsy statements again. Heritage need not be declared by the NHI for it to be considered heritage. Many LGUs know this and have a lot of heritage sites not in the NHI list but which they value and safeguard. It is sad that Umengan and company do not know what heritage is! And to think I looked up to you as a teacher in grade school. Didn't you teach Araling Panlipunan? After two great days in Batanes, visiting Batan and Sabtang, we decided to take it easy on our last full day. Had the Itbayat Airport been open, we might have considered flying there. But the runway is still under repair. And the airport won't open until the summer months. 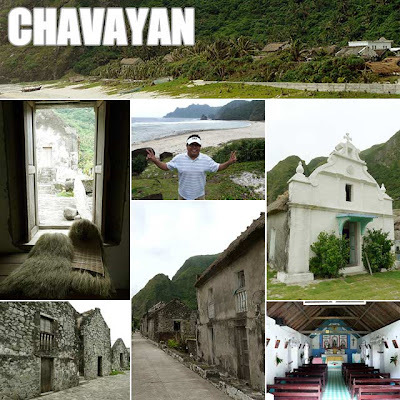 The largest of Batanes’ three inhabited islands but the least-populated, Itbayat is the northernmost municipality of the Philippines. Anyway, by the time we knew it, it was already time for lunch. We rented bicycles in the afternoon to explore Basco and its environs on our own. I had wanted to visit the burial sites north of Basco but we changed plans. Maybe for our next visit, we'll hire a van going there. So we just biked around town and the nearby viewpoints. 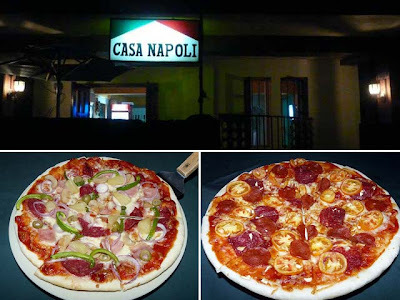 For dinner, we made sure to visit Casa Napoli for some pizza. We had planned to have dinner there yesterday but it turns out they are closed on Sundays. 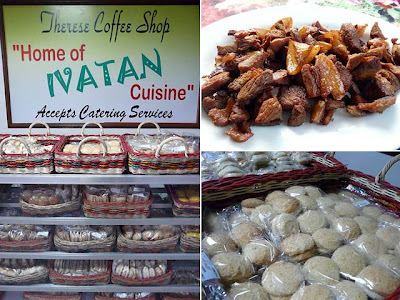 Don't miss out also on traditional Ivatan fare at Therese Coffee Shop which we discovered only the day before we left. We had lunes or Ivatan adobo there for breakfast before our flight back to Manila. It's best to call them in advance to prepare the food so that it's ready when you get there. You can contact them at (0916) 1142632 or (0921) 4040567. Some of the other interesting Batanes dishes are mixed Ivatan salad, venus, uvod balls, lobster and coconut crabs. But since we were in a rush, we could not try them all. 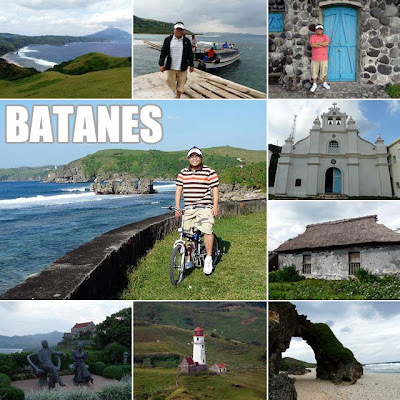 Batanes is simply paradise undiscovered! Many have been asking me about hotels. So I've listed some below. Of course, for the high-end, I've mentioned Fundacion Pacita in a previous post. Remember that room rates vary depending on season and are generally higher during the summer months. 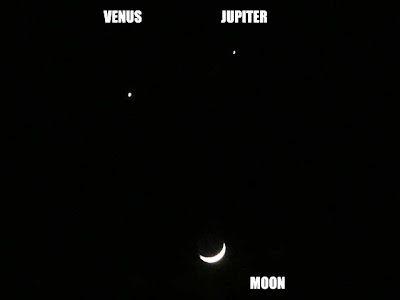 And did I mention I saw the smiley in the sky that night? 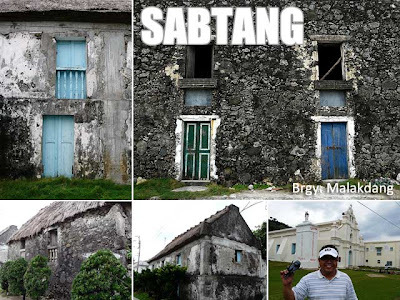 You’ve never been to Batanes if you don’t make the trip to Sabtang Island. If you’re motion sick, you’ll have to prepare for a rough ride outside the summer months. But it’s most definitely worth it! We were up really early today since the first trip was scheduled to leave at 6 a.m. We were there on time but after close to two hours of waiting, the boat had not yet arrived and we were told that the captain was still waiting the for the waves to calm down a bit. It was close to 9 a.m. when we got to board the boat. The ride was terribly rough and I got sea sick. I had to take a breather when we arrived in Sabtang before we left the town proper for a jeep ride around the island. 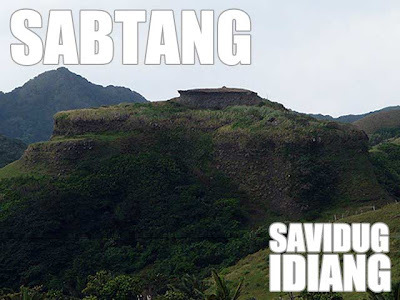 In Sabtang, you get to visit the traditional villages of Savidug and Chavayan. These barangays remain mostly untouched and take you back in time when life was so simple. 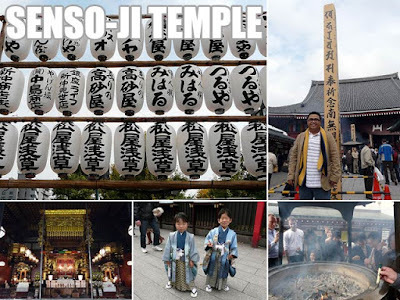 In fact, they are candidates for inscription in the UNESCO World Heritage List. And I hope the locals keep their village and way of life the way it is. 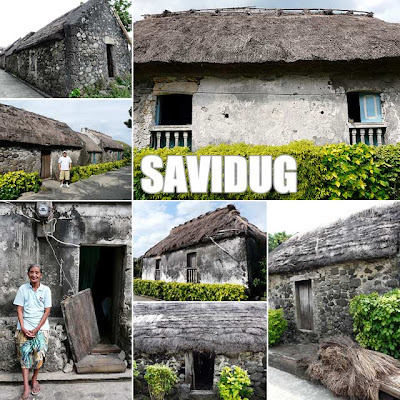 The first village outside the town proper which you'll stopover at is Savidug. You'll have the chance to walk around the barangay and marvel at all the centuries-old Batanes stone houses that comprise the village. On the way to our next stop, we saw the Savidug idiang. Idiangs are pre-colonial fortified settlements of the ancient Ivatans. 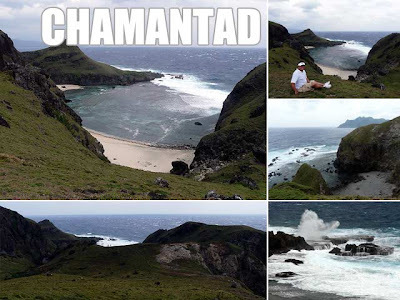 We stopped by the Chamantad Sanctuary where we were afforded panoramic views of the Sabtang coast. It was a grand experience hiking to the edge to the cliffs for a fantastic view of the beach down below. But do be careful since the winds can be very strong. But that's part of the experience. In Chavayan, it was fun exploring the narrow streets lined by centuries-old stone houses with thick walls and cogon roofs. One could also purchase the traditional vakul head-gear worn by Ivatan women to shield them from the elements. You can also ask the locals to get you a coconut which you can eat the way the locals do, with a makeshift spoon chipped off from the husk. There’s also a quaint chapel at the edge of the village built amidst the backdrop of grand mountains. I wish the priest didn't add that ugly extension at the back! They should take it out. Back in San Vicente Port at the town proper, we were served a sumptuous lunch composed of lobster and adobo. You can try to request for coconut crabs, a local treat! I didn't eat much since I knew the ride back would be rough again. So I used my extra time to visit Barangay Malakdang, one of the poblacion barangays. 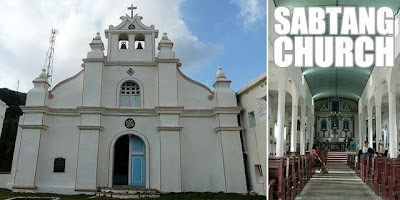 The Sabtang Church is wonderfully preserved as well except for a few cement alterations to the convento which I hope the priest would revert back to its original state. 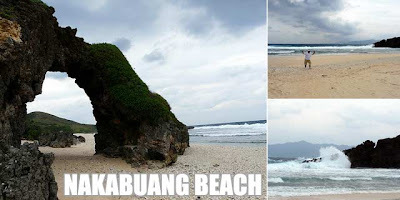 Before heading back to Batan Island, we visited Nakabuang Beach, famous for its natural rock arch formation. We didn't have time to swim though. And besides, it was too cold. If you have more time and if you're extra adventurous, you could opt to stay overnight and schedule a visit to Sumnanga which is called "Little Hong Kong" because of the cobblestones that used to cover its narrow streets. We went back to the port and made our way back to Batan. Exhausted from the two boat rides, I decided to rest the whole night. But Sabtang is indeed a treasure! We enjoyed our tour around Basco in the morning and were looking forward to our afternoon tour of the rest of Batan Island. After lunch, we had time to take a quick nap before our driver passed by for us at the hotel for the tour. 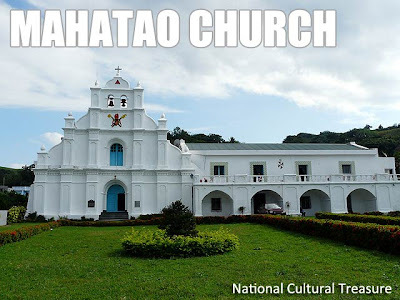 Make sure you ask your guide to stopover at Mahatao Church which is a National Cultural Treasure. 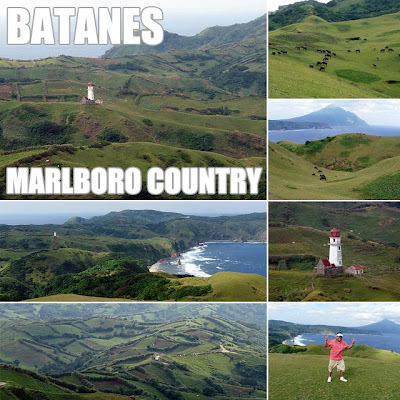 A staple of these island tours of Batan is Rakuh a Payaman commonly known as Marlboro Country. 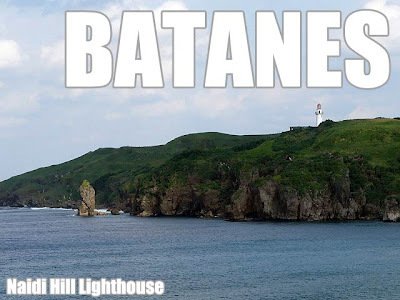 It’s one of the best views in Batanes, with cows and carabaos grazing, rolling hills, waves crashing on the shore, with a view of another quaint lighthouse built in the distinct Batanes style. I could imagine how charming and romantic it would be to organize a picnic here. One could stay here the whole day just thinking about nothing, savor the scenery and pass the time away. 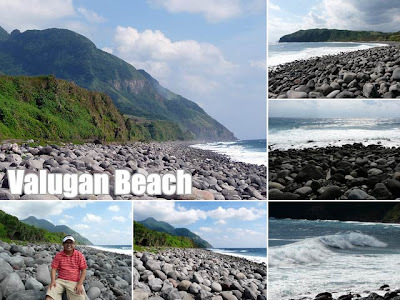 There are more stopovers in Uyugan town, of views of waves crashing on the jagged Batanes cliffs in Dekey a Kanayan, of old stone houses in Barangay Itbud and the poblacion of Uyugan. 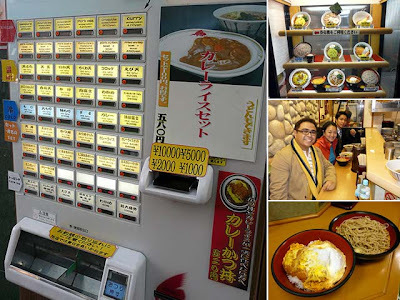 The next town, Ivana, is home to the very popular Honesty Café where people pay for drinks and snacks they consume on an honesty system since the store is unmanned. Another popular stop in the town is the House of Dakay, said to be the oldest stone house in the town. You’ll get to meet its lone inhabitant, Lola Florestida Estrella who warmly welcomes visitors into her humble home. We were lucky to meet former Education secretary Butch Abad on the plane to Basco and he had extended to us an invitation to visit his late sister’s former studio, Fundacion Pacita, which had been converted into a wonderful bed and breakfast in, no doubt, the classiest and most charming accommodation in Batanes. At PHP7500 a night for a regular room, you’ll never go wrong with its breathtaking views worth dying for especially when you wake up in the mornings. 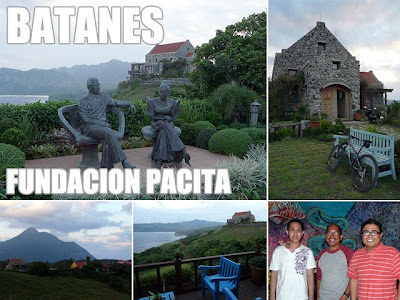 They even have a honeymoon suite for lovebirds looking for a romantic vacation in picturesque Batanes. But be sure to book early since I was told bookings for summer were already in as early as November! We had dinner and called it a night early since we had to wake up the next day for our trip to Sabtang. 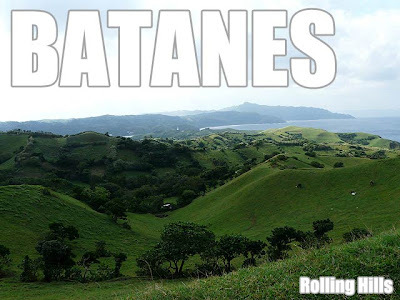 Batanes is uncharted territory to many. But this remote province can provide the most romantic of backdrops for any vacation. 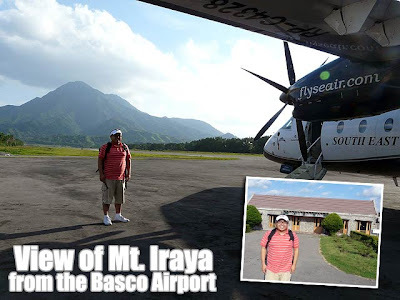 As the 32-seater SEAIR Dornier plane we were on broke through the clouds as we made our descent, the islands of Batanes beckoned. We were making our way to a land literally detached from the Philippines; but with distinct Filipino charm and hospitality. It was unusually sunny after several days of rain. And Mt. Iraya was clearly visible when we touched down at the airport. We booked our hotel in advance to make sure we got picked-up at the airport. As soon as we settled down, we arranged tours of Basco and the rest of Batan Island at the hotel counter. You can rent a van for yourself but we opted to share expenses with other guests of the hotel who wanted the same tour. It can save you a lot since there’s lots of room in the van anyway. The itinerary for the morning was a tour of the provincial capital Basco which took us to places like Rolling Hills, the Naidi Hill Lighthouse, the town proper and Valugan Beach. Rolling Hills was picturesque and the winds were strong and refreshing. 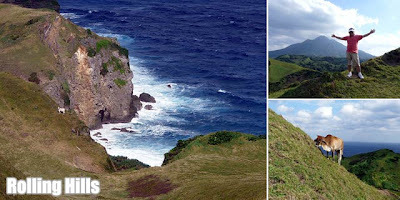 You’d see cows grazing along the steep slopes, which is an iconic image of Batanes. 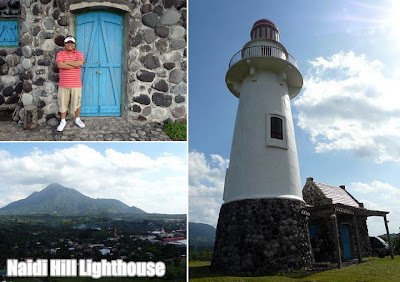 Many people actually think that the lighthouse in Naidi Hill and several others date back to the colonial period. But they are actually of recent construction, part of a project of former Batanes congressman Butch Abad. From the top of the lighthouse, we were afforded a bird’s-eye view of Basco and the fishing activities down at the coast. 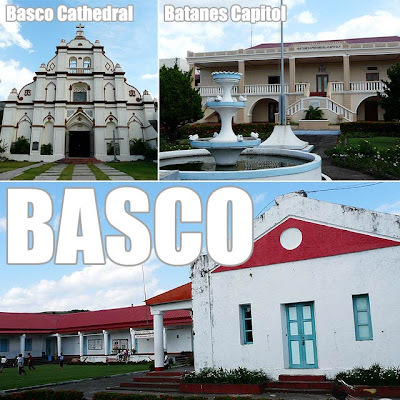 In Basco town, we got to visit the cathedral and the colonial period provincial capitol building. 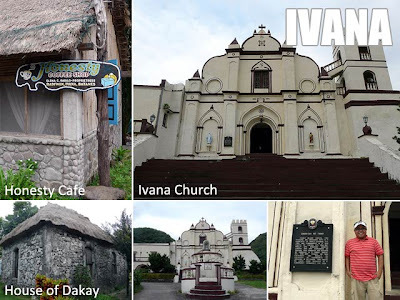 Batanes churches actually have a distinct look which reminds me of colonial mission churches in the Americas. We made one last stop at Valugan Beach, which is actually composed of large boulders and not sand, but with a breathtaking view nonetheless. Lunch was at the hotel before we proceeding to visit more of Batan Island. The Shinkansen, more popularly known as the bullet train, is a network of high-speed railway lines of Japan. It was quite exciting that we were taking the Shinkansen to Kyoto. We could have opted for the much cheaper and longer bus ride. But the group was after convenience and the experience. Sadly though, we didn't get to see Mt. Fuji and much of the scenery since it was dark by the time we passed by. 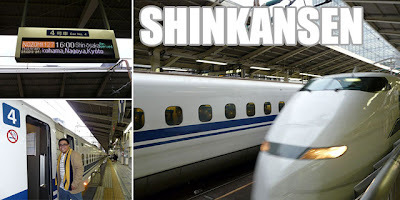 One can purchase Shinkansen tickets from most stations. In fact, we bought ours at the airport station. The ticket for a reserved seat from Tokyo to Kyoto was ¥13320. We had to rush to the Tokyo Station to catch our train since we didn't give much time for allowance. Don't do that in Japan since everything is on time all the time. Navigating through the station was a bit complicated because of the massive network of trains which passes through it. And you sure can get lost! Just ask around for the Shinkansen and people can point you towards the right way. If you have communication problems, just show your ticket when asking for help. We finally found the Shinkansen area, the right platform, and the boarding area for the particular cabin we had the board. Unless you are holding a non-reserved ticket (meaning you can board just any time), make sure to check the time of your train because you might board the wrong one. Trains are so efficient, they arrive at the station a minute or two before the scheduled departure and leave on the dot. Anyway, seats are very comfortable and we were in Kyoto in no time. If you are taking more than one trip on the shinkansen, it might already be cheaper to get the 7-day pass even if you're not staying for seven days. The ordinary 7-day pass is ¥28,300. There is also a 14-day pass (¥45,100) and 21-day pass (¥57,700). The multiple-day passes are actually cool since you just hop-on and hop-off the Shinkansen which depart from most stations so frequently, you need not worry if there are enough seats. And because of the speed of the trains (up to 300 kph), you get to various parts of Japan in no time. That would have been really fun if we had a longer stay. Asakusa, for most part of the 20th century, was the major entertainment district of Tokyo. Today however, other colorful districts such as Shinjuku have taken over. 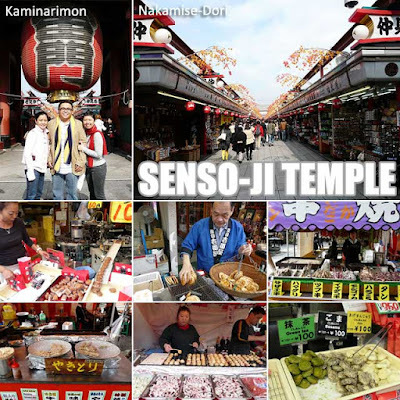 We trooped to Asakusa to visit the famous Sensoji Temple, said to be the oldest in Tokyo. We went straight there after we checked out from the youth hostel which was just a station or two away. 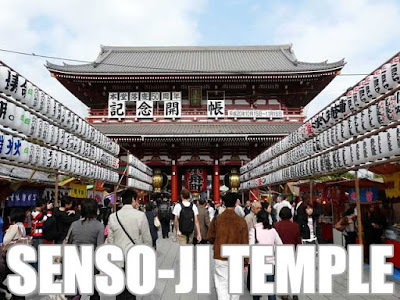 Sensoji Temple is dedicated to the bodhisattva Kannon, more popularly known Guan Yin, the Goddess of Mercy. The entrance to the temple is called the Kaminarimon or "Thunder Gate." On the gate is a massive paper lantern painted in vivid red-and-black tones suggesting thunderclouds and lightning. It's a very popular and important temple obviously gauging from the crowds we saw there. After the gate is a long row of souvenir shops. The street is called the Nakamise-dori where one can find a great selection of souvenir items and food. I enjoyed the many snack items on sale and bought some for tasting. These shops themselves are part of the heritage of the area having sold to pilgrims who walked to Senso-ji since the 18th century. The street is about 250 meters and has close to 90 shops. After walking around the temple grounds, we had a late lunch at one of those vendo restaurants. You selected and paid for your food through a vendo machine and gave the printed out ticket to the staff who serve as both cooks and waiters. It's efficient really and it keeps costs down since minimal manpower is needed to run the place. Anyway, after lunch, we proceeded back to the youth hostel to get our luggage. Several of us were going back to Manila. While others were taking the 4 p.m. Shinkansen to Kyoto. Part 1: Konichiwa from Tokyo, Japan! Who could imagine that I'd get to visit three of the four candidate cities of the 2016 Summer Olympics this year? I was in Madrid, Spain in April and May. In June, I got to visit Chicago, USA. Now I'm in Tokyo, Japan. 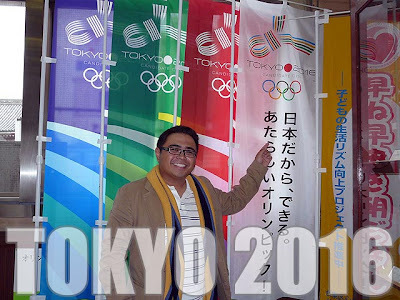 If Tokyo wins, it will be the second time the city will host the Summer Olympics. The selling point of Tokyo is that it will be "the most compact and efficient Olympic Games ever." And I wouldn't be surprised, if given the chance, that they'll pull it off! So the countdown to October 2009 begins when the IOC will announce the winning bid! Talk about waking up early to see a fish market! 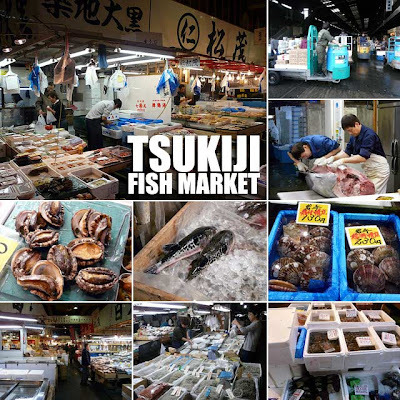 The Tsukuji Fish Market is the biggest wholesale fish and seafood market in the world. So don't be surprised if this fish market has become a big tourist attraction. We had wanted to see the world-famous Tsukiji fish auctions but we learned they stopped allowing tourists at the auctions early this year due to health concerns and to avoid any disruptions in operations and other trading activities. Besides, we could not leave the youth hostel we were staying at before 6 a.m. since they had a curfew. Doors were locked from 11 p.m. to 6 a.m. After the conference, we vacated our five star hotel (sigh!) and transferred to the Sumidagawa Youth Hostel on the opposite side of town. A bed here was ¥3600 a night. But members of Hostelling International get a ¥600 discount. Anyway, we were out of the hostel a little past 6 a.m. If you're going around Tokyo for a day, it would be convenient to get the one day subway ticket which is ¥710. If you want to include the JR Line in your day pass, you'll have to shell out a little bit more. From the Asakusabashi Station, we were at the Tsukiji Station in no time. 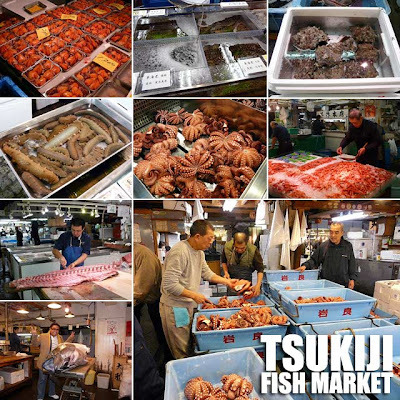 The main market of Tsukiji is about a kilometer from the subway station. 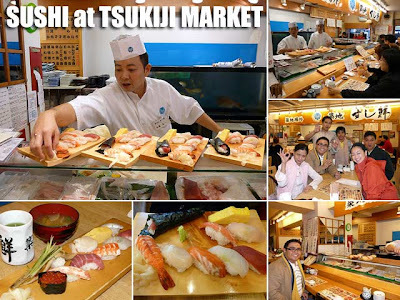 On the way to the inner market, you'll pass by Tsukiji's outer market filled with wholesale and retail shops that sell seafood and other food items, kitchen tools, and restaurant supplies, and restaurants that sell sushi and other Japanese delights. You'll have to come early since shops in the outer market are closed by the afternoon, and those in the inner market even earlier! At Tsukiji, the first thing that greeted us was the constant traffic of forklifts and small vehicles moving about. The scene looked like it was pulled out of a Star Wars movie! We walked about enjoying the different seafood on sale. The fish market is said to handle more than 400 different types of seafood from tiny sardines to 300-kilogram tuna, from cheap seaweed to the most expensive caviar! After exploring a good part of Tsukiji, we heard our stomachs rumble and it was time for breakfast. On the menu was sushi of course! We got ourselves some breakfast sushi boats which range from ¥1000 to ¥2000 each. After that sumptuous seafood feast, we made our way back to the youth hostel to catch up on sleep before our 10 a.m. checkout. Japan: Konichiwa from Tokyo, Japan! I found myself out of the country again. 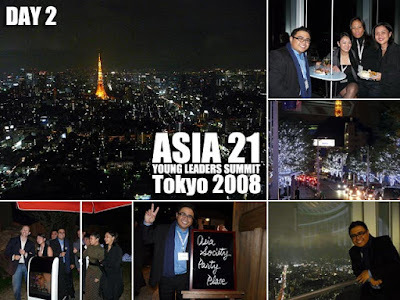 This time I was back in Tokyo, Japan to attend the Asia 21 Young Leaders Summit 2008 at the Four Seasons Hotel Tokyo at Chinzan-So. 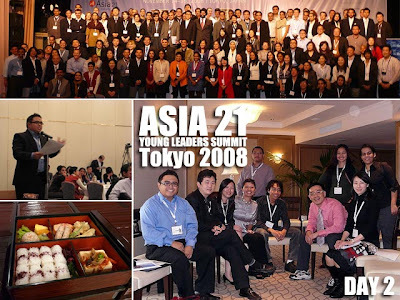 According to the Asia Society, "The Summit brings together some 200 of the most dynamic next generation leaders from the Asia-Pacific and the US to explore imaginative ways to address the most critical issues facing the Asia-Pacific community today, develop common approaches to addressing these shared challenges, and cultivate the long-term relationships necessary for developing responses." 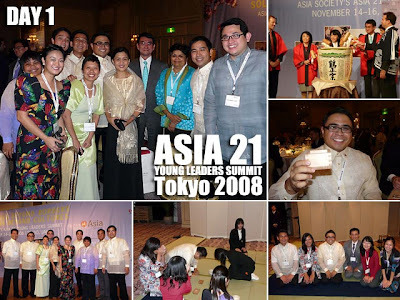 Every year, ten young Filipino leaders from various sectors get to participate in the program. Our schedule was really hectic. In fact, we only had an hour or two to rest the day we arrived before the Welcome Dinner in the evening. Of course, we had a sake toast to open the summit! Before calling it a day, I joined the traditional Japanese tea ceremony. The next day was the summit proper. So we were in the hotel most of the time. Even breakfast and lunch were working meals! 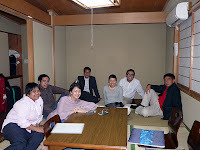 The highlight of the day was a dinner reception at the 52nd floor of the Mori Tower hosted by Mrs. Yoshiko Mori. The 52nd floor is home to the Tokyo City View and the Mori Art Museum. We were afforded great views of Tokyo at night! After the reception, we were treated to karaoke and drinks at L Garden. We didn't stay up too late since we still had an other summit day. One thing I get to enjoy attending all these out-of-town conferences is that I get to explore the place after. So before flying back to Manila, we made sure to visit (revisit in some cases) the different cultural attractions of Zamboanga City. The cultural fabric of Asia's Latin City is evindently intact and one call definitely feel Zambaonga's spirit of place as we went around the city. After visiting a Gabaldon school building restored by the City Government of Zamboanga, we visited the Western Mindanao State University where an outstanding example of a building designed by Juan Arellano stands. 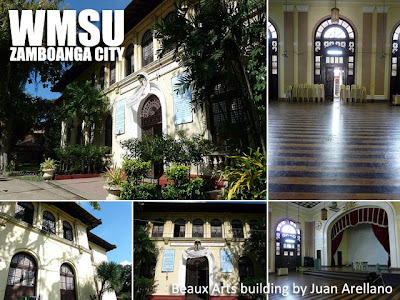 It is arguably one of the best Arellano buildings in the country. And it's silently stands in the heart of Zamboanga City! As Archt. Toti Villalon mentions in his column, "More outstanding than anything I saw in Zamboanga is the main building of Western Mindanao State University. An undiscovered gem of American colonial architecture from the early 20th century, it is a wonderful example of Beaux Arts favored by the American colonial government, which was adapted to tropical conditions with large window openings, high ceilings with floor-through interior ventilation and excellent architectural craftsmanship in its moldings, doors and wrought-iron grillwork." We also dropped by the local hospital which was of the hospital pavilion layout that was popular during the American colonial period, the PGH design that became the standard for American hospitals in tropical areas. From there, we proceeded to Plaza Pershing. We requested Mayor Lobregat to keep the grass and avoid placing pavers since the park is a fine example of public parks during the American colonial period. From there we walked to Zamboanga City Hall. Our guide, at the request of the mayor, treated us to his rendition of Rizal's El Ultimo Adios right in front of the Rizal Monument. 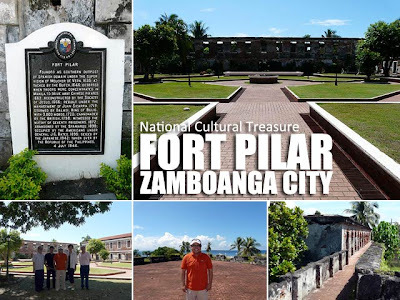 After a tour of city hall, our group proceeded to Fort Pilar, which is a national cultural treasure, before proceeding to the Barter Market to do some shopping. 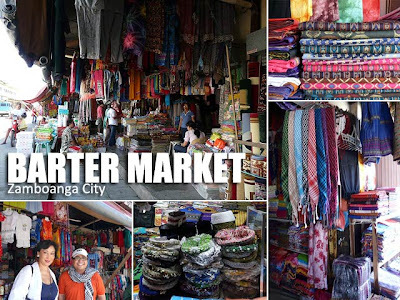 The Barter Market is a great place to get textiles both local and imported. It's a good place to buy batik and Arafat scarves (if you bargain well, you can get one for PHP75 or even lower). In fact, you'll see a good number of Malaysian and Indonesian products such as instant noodles, candies and other items. Our last stop for the morning was the Yakan Weaving Village where one could purchase fine examples of Yakan woven products. 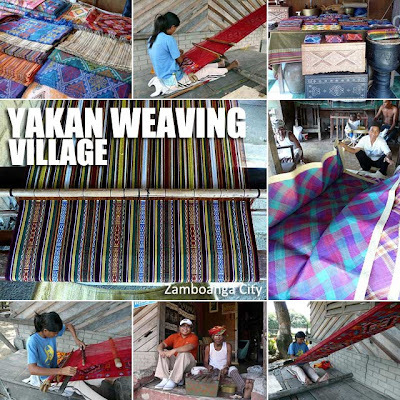 Also available there are banig from Sulu and other woven items from the nearby Muslim provinces. If you're lucky, you can watch the women weave cloth. For lunch, we proceeded to a Malaysian mamak in Zamboanga! It was among my favorite eating places the last time I was in Zamboanga and I made sure we stopped at Tini's before going home. 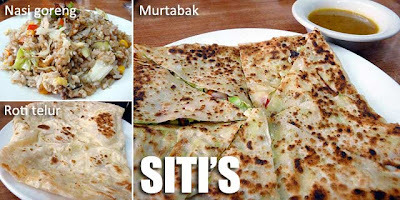 As always, I ordered roti telur and murtabak. But I think the curry sauce in Malaysia is still best. In the afternoon, we visited the Gabaldon school in the Mercedes District and the Taluksangay Mosque. The school is intact but the mosque is not. In just two years, the historical fabric of the mosque had been destroyed by unguided renovations. There was a really nice view of the mosque from the river. But that image is now gone with the roof they placed to cover the entire grounds of the mosque. Sad to say, the mosque had a marker of the NHI. I wonder how it got renovated.